When a freeze is predicted and you need to quickly protect tender container plants, try this method. 2. 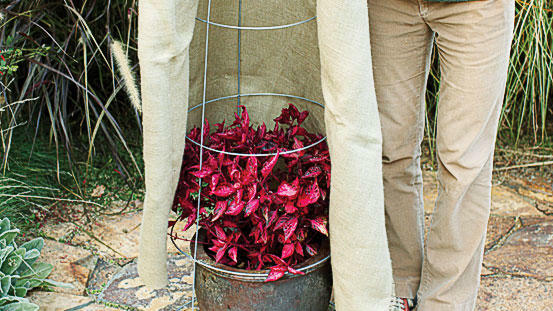 In the evening, drape thick plastic, burlap, or other fabric over the cage, making sure it doesn’t touch the plant’s foliage. 3. The next morning, after temperatures have begun to rise, remove the cover and the cage.